The Happy Mat is an all-in-one placemat + plate that captures kids' messes. 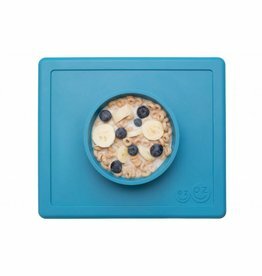 The FDA-approved Happy Mat is made from high-quality silicone that is non-toxic, PVC, BPA and phthalate free. Another bonus? It suctions directly to the table, making it nearly impossible for tiny hands to tip over.